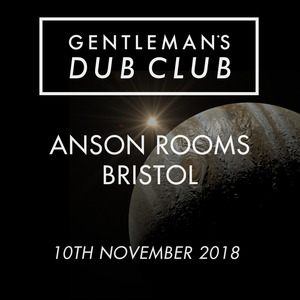 Fiesta Bombarda host the grand return of the nine-piece dub, ska and roots reggae collective GENTLEMAN’S DUB CLUB at the Anson Rooms. Fiesta Bombarda host the grand return of the nine-piece dub, ska and roots reggae collective GENTLEMAN’S DUB CLUB at the Anson Rooms. After a decade of infamous high energy performances and music releases, the Gents return after a brief hiatus with their biggest tour to date on the back of last year’s huge DUBTOPIA and more new music on the horizon!